The Ozone Medical Waste Treatment Plant (“OMWTP”), utilises ozone gas to sterilize medical waste to achieve 99.9999% reduction of microbial population in the waste, besides reducing waste volume without application of thermal (e.g. by incineration), steam nor chemicals in the process. 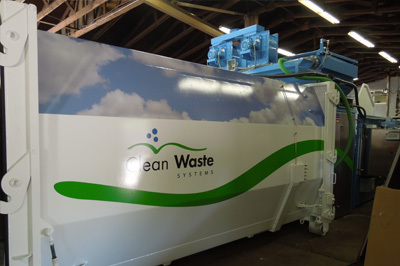 With zero emission, no effluent discharge, ease of operation, quick cycle time and low operating cost, the OMWTP is an effective and promising solution for medical waste treatment. 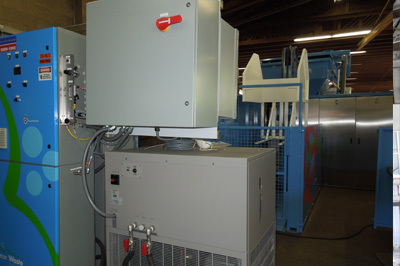 It is a self-contained processing system which generates ozone by utilising oxygen from the ambient air in a self-contained ozone generating plant which is then used to sterilise medical and bio-hazard waste. Excess ozone after waste sterilisation is converted back to oxygen and returned to the atmosphere. 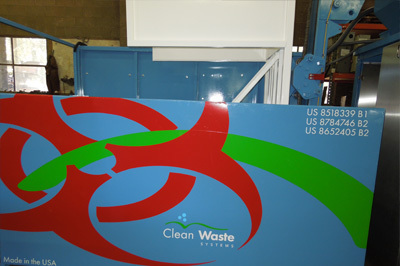 In the OMWTP, medical waste is not incinerated, nor any steam or chemicals applied in the process. Therefore, there is no toxic emission and no effluent discharge into the environment. The OMWTP is an environmentally sustainable technology. By using only oxygen extracted from ambient air in the self-contained ozone generating plant, a small amount of water, compressed air and electricity results in a very small environmental footprint for this unique technology. 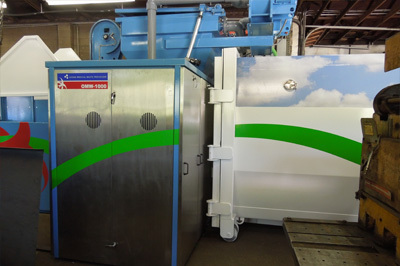 The shredded and sterilised residue after treatment is stable and with more than 90% reduction in volume provides significant space saving advantage for final disposal in a secured landfill. The OMWTP provides cost effective treatment as it is a non-thermal technology thus no fossil fuel is required. With a fully automated control system, it requires less labour to operate and consumes less electricity compared with conventional incineration technology with equivalent treatment capacity. With its quick cycle time and up to 400kg per cycle capacity, the OMWTP is able to handle the waste stream in a more efficient and timely manner. The OMWTP does not have a minimum load capacity required to run a cycle. OMWTP Ease of Operation, Operator Safety. The OMWTP is relatively simple to operate and all staff can be easily and quickly trained to operate the unit in a short period of time. The plant operators will not be exposed to dangerous pathogens or sharps during the waste treatment process since pre-sorting, pre-conditioning nor direct handling of waste is not required. Furthermore, the plant operators will not be exposed to high temperatures or caustic / hazardous chemicals which will be present in conventional thermal (e.g. incinerators, autoclaves) and chemical treatment plants respectively.